LOCATION: This home is conveniently located steps from the beach! 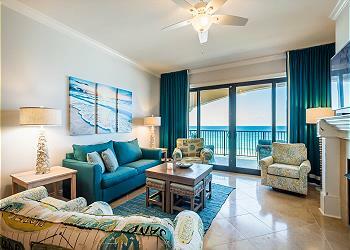 DETAILS: Situated on Destin’s pristine white beaches, Villa Coyaba’s 2,200 square foot luxury condominiums offer guests a haven of rest and relaxation. Featuring four recently remodeled bedrooms and three bathrooms, this sophisticated fourth floor unit comfortably accommodates 12 guests and features brand new, top of the line furnishings, a Gulf front balcony with an unbeatable view, fully equipped gourmet kitchen and complimentary beach chair service during season. Villa Coyaba is nestled on Scenic Highway 98 and provides guests the convenience of being a short drive away from all of the world-class shopping and dining Destin has to offer. This condo is a great place for a family to use alone or to share with friends. It is a second home and we invite you to use it as your own. You will feel at home with all the 'extras' that you would not normally find in a rental unit. No need to pack up your porta-crib we have that too. - ON THE BEACH - You can't get closer to the water without being on a boat. 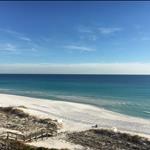 - CRYSTAL BEACH - a block away from DESTIN COMMONS, the areas best shopping. This was one of the best vacations my husband and I have had. The condo was very clean, well maintained and BEAUTIFUL. The location of the condo was close to just about everything you might need like a grocery store, shopping, drugstore and many many wonderful restaurants. Most establishments offered a military discount! Can’t wait to visit again. Ladies week in Destin was spectacular! Four of us enjoyed the stunning sunsets and sunrises. We also thoroughly enjoyed the many great restaurants and live music within walking distance! The property is immaculate and gorgeous and we really didn't need to leave the deck, with a spectacular view of the ocean, sand and gorgeous sunsets....The sand is as soft and white as can be an the ocean does not disappoint, We will be coming back here every year!!!!!! Beautiful and perfect location! This was a family trip. 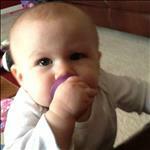 We had our daughter and her family with us, including our 4 year old granddaughter. This location was perfect! Easy access to the amazing sugar sand beach and emerald green water or the condo's heated swimming pool. Several restaurants withing walking distance and nearby shopping; both for essentials and other "stuff." The condo had the most amazing views! Well appointed and super comfortable beds. Condo is on the 4th floor and is very quiet. There is plenty of space to enjoy meals inside or out on the very large patio. We all hope to have the opportunity to come back and enjoy this relaxing location. This condo is ready for you to relax and spend time with friends or family as it has four bedrooms and 2 full baths plus a Jack and Jill bath. It even has an ice maker so you won't have to worry about keeping drinks cold or packing a cooler for the beach. We are ready to go back and we just got home! We could not be happier to hear how much you enjoyed your time with us in Destin at Villa Coyaba! We completely agree that this condo is a great option for a family friendly getaway and a perfect spot to make memories at the beach! Thank you for staying with 360 Blue, we look forward to hosting you all again very soon! We had a fantastic time. We are 6 high school girls friends all celebrating turning 50 this year. The only negative thing was no full length mirrors anywhere in our condo. 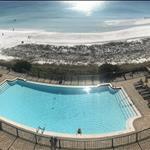 We are so glad that you and your friends enjoyed your stay with us in Villa Coyaba in Destin! The photo you shared is priceless and it looks like you all made some lasting memories! We hope to be able to host you all again very soon! Amazing! We loved it and will definitely stay again! We are so thrilled that you enjoyed your stay with us in Destin at Villa Coyaba! We especially loved the photo you shared, it is absolutely adorable and we are looking forward to seeing you all again soon! Had a Fabulous stay at Villa Coyaba 407. great friends, beautiful condo and beach, is all that needs to be said. Hope to come back again! 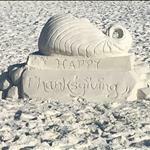 We are so glad that you enjoyed your vacation with us in Destin! We agree that the condos at Villa Coyaba are second to none! We look forward to seeing you all again soon! Our stay was an absolute dream come true. Not only was the apartment spotless but the kitchen had every need most every cook could want! I especially loved the full sized refrigerator. As far as ease of movement for my family the floor plan was excellent. having everything on one level was definately a plus since my parents (who are in their 70's) were with us. Definitely a no brainer to book again. We could not be happier to hear how much you enjoyed your vacation with us in Destin! We agree that Villa Coyaba is an excellent choice for a fun and carefree beach getaway and the floor plan is perfect for all! We look forward to seeing you all again soon! Absolutely fabulous! We had 3 families (13 people) stay for the week. At no point did we feel crowded. So spacious! Everything from the decor to the view made our stay enjoyable. The balcony was probably our favorite area of the villa. The linens were plentiful, comfortable and most importantly very clean. The 360 Blue team was very accommodating and quick to respond when contacted. Overall wonderful experience and we hope to return in the near future. We are so delighted to hear how much you and your group enjoyed your vacation with us at Villa Coyaba! We agree that this condo and the location of Villa Coyaba is hard to beat! We are so pleased that your experience with 360 Blue was a positive one and we hope we can help you in the future! Hope to see you again soon! We had a great vacation at Villa Coyaba 407. The condo was lovely and accommodated our group of 4 adults and 4 tweens. The location and facility were perfect! We are so thrilled that you enjoyed your vacation at Villa Coyaba! We agree that these condos are some of the best in the area! We look forward to seeing you and your group again very soon! Prime! 407 was gorgeous before but the remodel and new decor are beautiful. The patio furniture is great and our bed was incredibly comfortable. The kitchen is fully stocked with everything you could possibly need, as well. Really enjoyed our stay and look forward to coming back again next year!!! Attaching last photo from the trip - taken about 5:45 this morning. Incredible. We are so glad that you enjoyed your vacation! We agree that photo you shared is incredible and absolutely breathtaking and this home is an amazing place to escape to for a relaxing beach getaway! We look forward to seeing you again very soon! Unit was newly decorated and beautiful. View was incredible. This was our second year in 407. Just sorry we couldn’t get the same unit for 2019. We are so happy that you love the updates as much as we do! Sorry it was already booked for 2019 but we hope to see you back again soon! 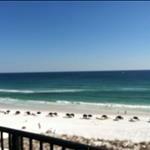 After my recent stay in Destin, I thought you would like know how much our group enjoyed the place! It was way above and beyond our expectations. The location was very near many great restaurants. We loved the heated pool -it was nice and clean and we also made made great use of the grills out on the patio! The unit itself was absolutely perfect! The decor was very up to date and welcoming upon arrival. The place was immaculate and the linens were top notch! Loved the entire place and will gladly return!! We are so thrilled that you had such an amazing stay at Villa Coyaba! The location is truly second to none with everything you could ever want so close. We look forward to having you back soon! Gorgeous sunrise and sunset views...beautiful property with all modern amenities! free dolphin shows from balcony daily! HUGE balcony overlooking ocean! Great location and awesome owners!!!! Love this place!!! The views from this home are truly second to none! Thank you for choosing 360 Blue. We hope to see you back at the beach soon! My husband and I stayed in 407 for our 1st anniversary and loved everything about it! the decor, the fully stocked kitchen, the amazing master bath, and the beautiful views from the patio. We enjoyed fishing on the beach and on a local fishing charter and then bringing our catches back to 407 and making our own dinner in the beautiful condo. We made sandcastles and went swimming in the perfectly heated pool! We saw the animals at the aquamarine and got to catch the seal and dolphin shows. 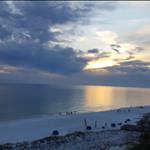 We had such an amazing and romantic vacation at the Emerald Coast! Thank you D & D!!!! and thank you 360 blue! Such a beautiful view! We are honored that you chose 360 Blue for such a special occasion. We are thrilled that you had such a wonderful anniversary trip and we hope to see you back for many years to come. This photo says it all! Love Villa Coyaba!!! What an amazing view! There is just nothing better than a beach side pool, what a perfect place to relax. We hope to see you back soon! We have stayed at Villa Coyoba several times and I must say that we love it so much we don't want to stay anywhere else. The rooms are perfect and I love the layout. The units are always super clean and I never hear noise from other units (or even down the hall in my own unit!!). If I had any complaints it would be we expected chair and umbrella service on the beach. I am certain this is probably a seasonal issue - and so next time we will just bring our own. Highly recommend Villa Coyoba! We are so thrilled that you love Villa Coyaba as much as we do! It is the perfect beach getaway for any time of the year. We love have you with us year after year and look forward to seeing you again soon! Loved our stay at 407 Villa Coyoba. There was 7 adults and 5 children and we had ample room and plenty of bath towels. The condo was stocked with everything we needed except kitchen dish towels/cloths. We loved having a washer and dryer. We were in Destin for a beach wedding. Our favorite thing is to have dinner outdoors while listening to good music and hanging out on the white sandy beaches. Sounds like a perfect stay! We are so honored you chose 360 Blue for an occasion as special as a wedding. We are sure many wonderful memories were made. We hope to see you all back soon! Absolutely loved our stay! Would recommend this place to anyone. Destin has the most beautiful beaches I have even seen. We stayed in room 407. Beautiful condo and perfect amount of space for our family of 11. Parking is not the best. We drove from Ohio. It takes 3 vehicles to transport 11 people and luggage. Each condo only has 2 parking spaces and on day of arrival visitor spaces were full. Had to park 3rd vehicle at local grocery store (which is not walking distance). Only other suggestion would be to have dressers or some type of shelves in ALL rooms. 2 of the guest rooms only have small closets with 10 hangers in each. My family stayed in 1 room (4 of us. 2 adults 2 kids) and clothing was a headache bc we had to keep everything in luggage. Rest of family was able to put their clothing in dressers. We do really love this place and are already talking about coming back! Thank you! What a gorgeous photo! You really captured the beautiful colors of our sunsets. We are happy to hear you enjoyed your stay with us in Villa Coyaba! Thank you so much for choosing 360 Blue and taking time to provide us with this valuable feedback. We hope to see you all back at the beach again soon! AWESOME property!!!! Inside and out beyond phenomenal! We are so thrilled to hear that you loved this amazing home as much as we do! We look forward to having you back soon! Awesome view and great location just steps away from the beach! The size of condo was perfect for our group! Loved the ice machine and nice bath towels and linens! The kitchen was well stocked and bathrooms were very nice! We stayed in 407 at the Villa Coyaba. The staff was very nice and helpful! Although we were given the wrong code to get into the pool & beach & gym access! The staff said they have told them many times they have not used a three digit code for years to access these areas so it was hard for us to get in until another guest told us the code! A few things we were disappointed in were carpets were very dirty and stained! And the walls need a fresh touch up! Some furniture needs to be replaced as well as patio furniture but other than that we had a great time and a beautiful condo! We also loved that we did not have to wash the bed linens and bath towels on the last day Thanks for that! We will definitely come back! What a wonderful photo! We are so happy that you and your family enjoyed your stay in Destin so much! We do apologize about the mishap with the codes but we are happy to report that has been resolved. We also have let the property manager know about the feedback on the unit so they can discuss that with the homeowner. Thank you for staying with 360 Blue and we hope to have you back at the beach again soon! What a beautiful family photo! It's definitely one to frame and treasure! We couldn't be more thrilled that you enjoyed your stay so much and found the property so well equipped for all of your needs! Thank you so much for choosing 360 Blue for your beach vacation and taking a moment to share your experience with us. Come back and visit with us again soon! Absolutely fantastic. Breathtaking views. The condo was phenomenal. Looks like the perfect beach day! We are so excited that you enjoyed your stay and we hope to see you back soon! Our Spring break stay at Villa Coyaba 407 was AMAZING! The condo had everything you needed to cook, plenty of bath towels, washer/dryer, super convenient access to the beach and pool, a great little fitness area and STUNNING VIEWS!!! The 360 team at Villa Coyaba paid attention to detail...Everything was clean all the time. Easy, close access to Publix and the mall. HIGHLY RECOMMEND. EXCEEDED EXPECTATIONS! You really can't beat those beach sunsets! We are thrilled you enjoyed your stay at Villa Coyaba! Thank you so much for choosing to stay with 360 Blue and we hope to have you back again soon! We had a fabulous family vacation! 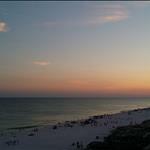 There were 9 of us- 3 couples and 3 kids and we have vacationed in Destin annually for over 20 years. Loved unit 407! It was comfortable, tastefully decorated and had all the necessities. Bunk room was a plus. The only thing we said was that we wished the first bedroom on the left had a dresser. We will definitely check this one out again the next time we come! Looks like everyone had great time! This condo really is perfect for families, it has everything you could need. We are so happy your family had such a wonderful stay! We look forward to having you back soon! The location was great as well as the accommodations. Kudos to the pool guy as the pool was nice and clean and crystal clear! The location of Villa Coyaba really can't be beat! We are so happy to hear that you enjoyed your stay (and the pool)! We hope to have you back soon! What a perfect way to celebrate with friends at Villa Coyaba! Thank you for staying with 360 Blue, we'd love to have you all back!! 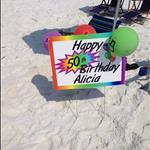 What a great way to celebrate my 50th birthday!! Seven of us totally loved the location and all it had to offer. Villa 407 was the Bomb!! Destin Dewy was a new find for us this time as well ... We will be back to both!! Till next time!!! Happy belated birthday! What a great way to celebrate! Thank you so much for making 360 Blue a part of such a special occasion! We are so thrilled to hear that you enjoyed your stay, and we hope you can make it a birthday tradition! We had an incredible week! Villa Coyaba is beautiful!!! We loved not having to worry about keys and the no-nonsense check-in and check-out. The location is prime and the beach was incredible. The beach service was great and despite it being 4th of July week, not overcrowded. My only complaints with 407 are that the beds were very loud (as if wrapped in plastic or something) and the bath towels shed a significant amount of fuzz. A+++ overall! This photo is positively oozing with tranquility. Just lovely. We are glad you liked the easy check-in and check-out. We believe guests should be busy enjoying their vacations not hanging out with us (though we do think we're very nice people and love to see our guests) or having to keep track of keys. We appreciate you staying with 360 Blue and sharing your feedback. We will have a look at the beds to see what is causing the ruckus. The shedding bath towels is a little odd. All of our new ones are pre-washed prior to being placed in units and shouldn't be shedding lint. We'll have a look into that as well. Give us a call the next time you need a beach escape. We'd love to have you back! Loved 407! We will be back next year. We can't wait to have you back! Maybe by next visit the little one in the photo will be big enough to enjoy building sandcastles on the beach! They grow up so fast! So glad to have been a part of such a positive experience for you and your family! So glad to hear you enjoyed your stay! Such a wonderful complex in fantastic area. Give us a call when you're ready to come back to the beach!